On Friday 25th May, we set out on the road with Minster FM to raise funds for St. Leonards Hospice. This was part of a campaign entitled “Quid Ditch” where local radio station Minster FM show the power of radio in communities. Minster FM opt to support local charities by asking everyone and anyone who can register on the website to agree to be visited and drop a pound into the collection box. This year we supported the campaign and we visited some of our customers and suppliers. Overall we helped to raise £1,517.98 for St. Leonards Hospice! To put this into perspective, £5 will provide 1 person 20 minutes of care in the hospice. So with the money raised that will provide 100 hours of care. The hospice has to raise over £5 million every year to keep the service running and free of charge to those who those need it. They provide an excellent level of care not just to those who are affected by an illness but also to support the families around them. You can find out more about St Leonards Hospice here. 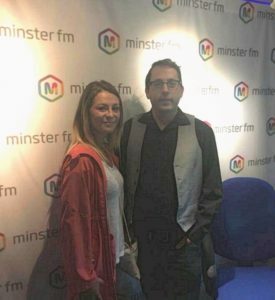 Minster FM continue to support St. Leonards Hospice all year around so make sure to tune-in if you are in the catchment area (or listen online).